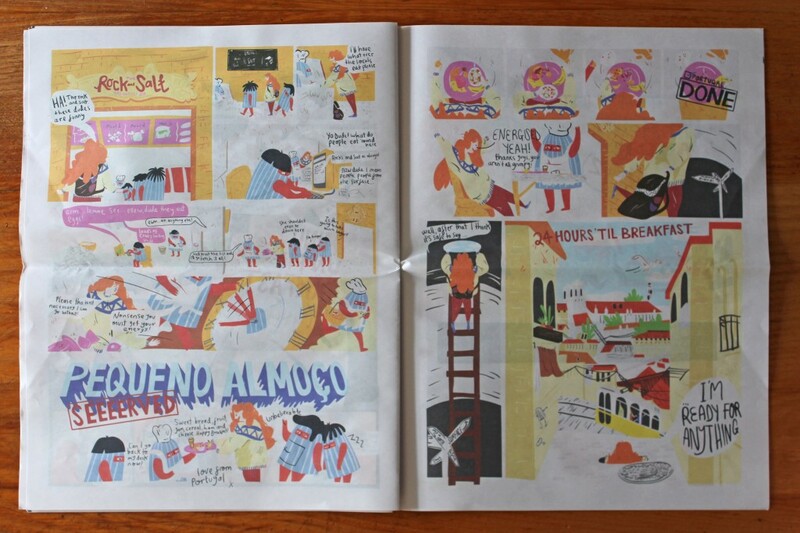 Our Newspaper of the Month for July is Everything for Breakfast from Sheffield-based illustrator David Hill. Set in a brilliantly drawn universe, the 20-page digital tabloid starts off with an invitation to a birthday breakfast on a lighthouse. 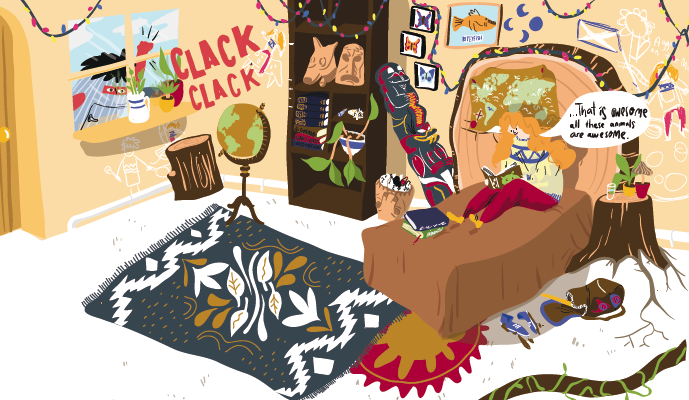 The story follows an adventurer in a fabulous jumper, making her way across the world one breakfast at a time -- it's our kind of comic. Just look at that bedroom! 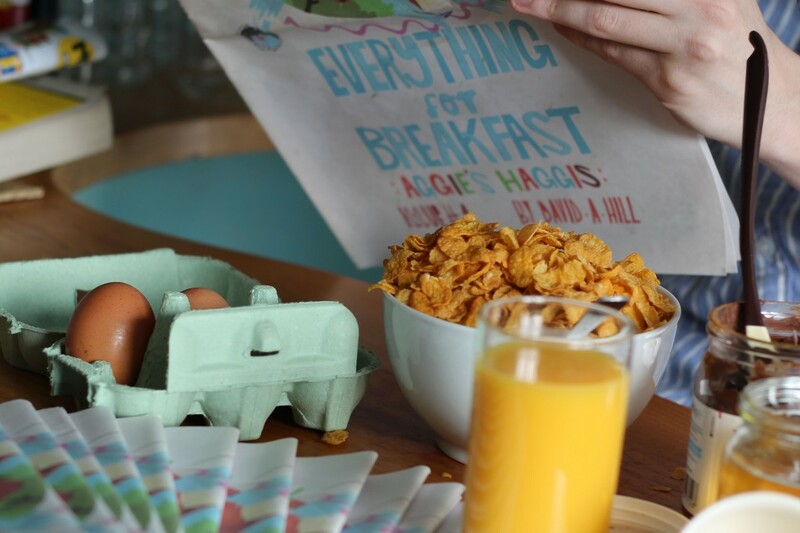 Everything for Breakfast is the result of my final university project, where I wanted to create something for children to interact with, to read through, and to implicitly receive the message of the importance of acceptance and tolerance amongst different cultures. 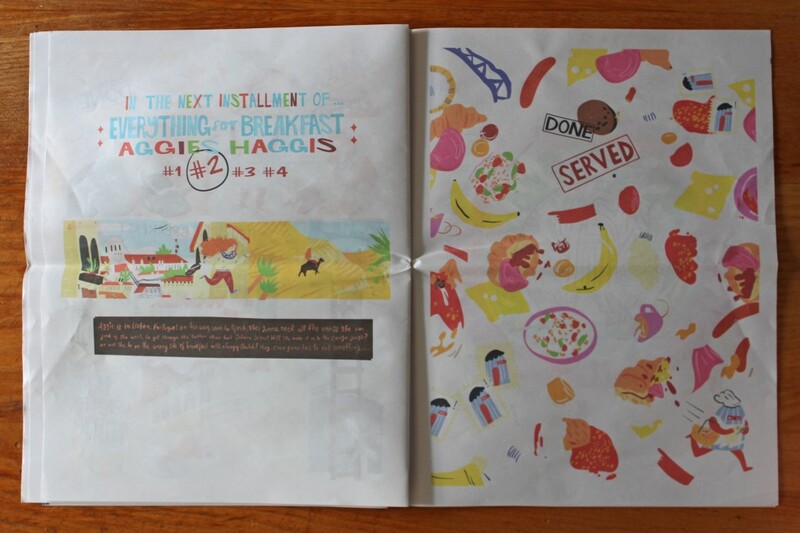 I use my child protagonists - Scottish Explorer Aggie and Ghanaian food lover Kofi - to get the message across in their own unique way. In issue one, Aggie encounters the Tunnel Dudes, a grumpy set of postmen, who become both help and hindrances throughout. They reluctantly help her on her way south towards the Congo jungle so she can find the best present for Kofi’s birthday, while eating all the breakfast she can before setting off again. Children’s comics have been around for many years, though a gap seems apparent in educational comics for kids who are becoming more socially independent as they move from primary to secondary school. With this project I was hoping to bridge that gap with my contribution. 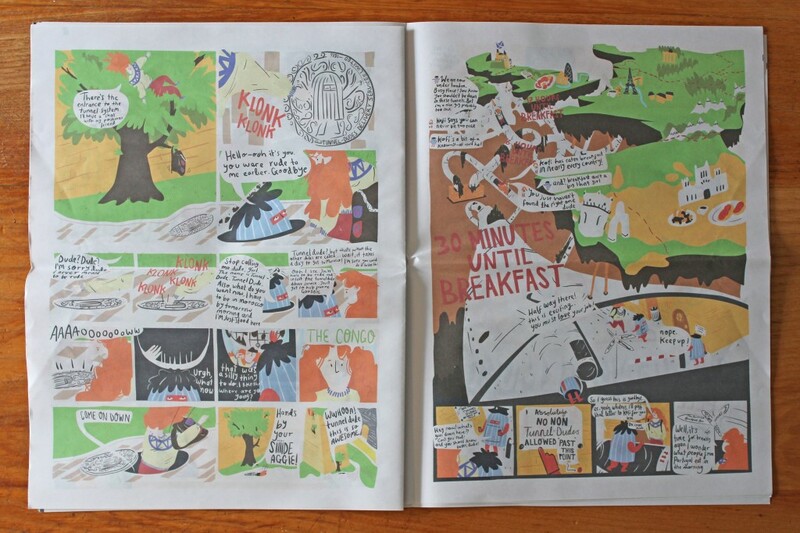 I see the comic being read by kids in schools during the morning breakfast routine, or at break time, so I wanted the comic to be a larger format than the usual issued comic of today, and saw that our University’s graduation brochure was being printed through Newspaper Club. I’ve been aware of the company for a while so this was the perfect excuse to see what my work looks like as a newspaper. The results are great, and I didn’t expect the company to be so personal with the project! And now I know how to make Issue 2 even better. 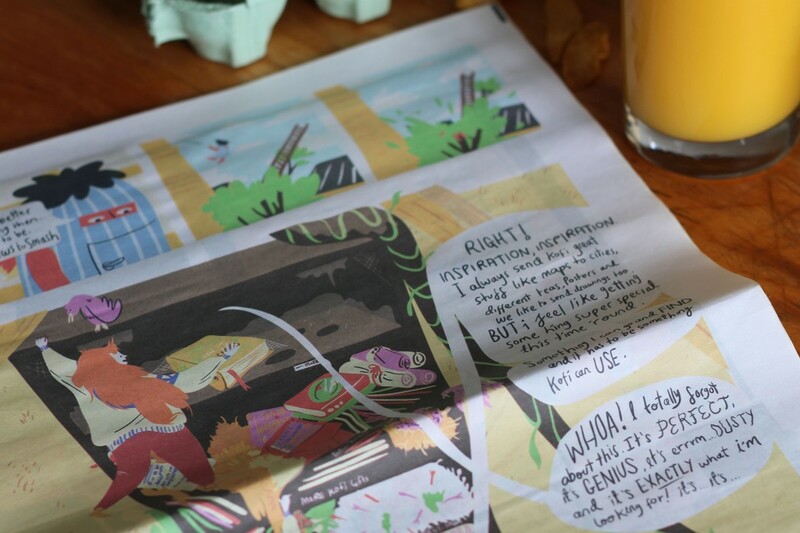 This is just the first of a planned four installments, and we can't wait for the next issue. Thanks for printing with us, David!